I can honestly say I never dreamed I’d be caught wearing a pair of cowboy chaps or even boots for that matter, but recently I was somehow convinced to be dressed in both of these Old West standbys in spite of knowing a camera was pointed in my direction. 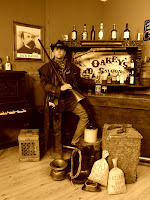 This once-in-my-lifetime occasion was captured at Capone’s The Original Old Time Picture Studio, where for my latest Dells Bucket List adventure; got to spend a few hours going behind-the-scenes of this classic downtown establishment. The Original Old Time Picture Studio was established in 1973, which current owner Peggy Anderson (who added “Capone’s” last year), says makes this the oldest Old Time picture studio in the Dells. It’s a place where visitors have been fulfilling fantasies to dress as cowboys, saloon girls, gangsters, flappers, Civil War generals, Southern Belles, and Victorian Era citizens for nearly four decades. While getting a tour of the place, I was asked which of the stages I wanted to use to get my picture taken. Deciding to go with the most popular, I was whisked off to the back where I was handed a white gangster pinstriped ensemble and black fedora. After quickly getting suited up due to a shirt, vest and tie combo that was sewn together and split up the back for easy access, I took hold of a surprisingly heavy machine gun replica, and once standing beside the old Chevy immediately felt transported to the Prohibition Era. 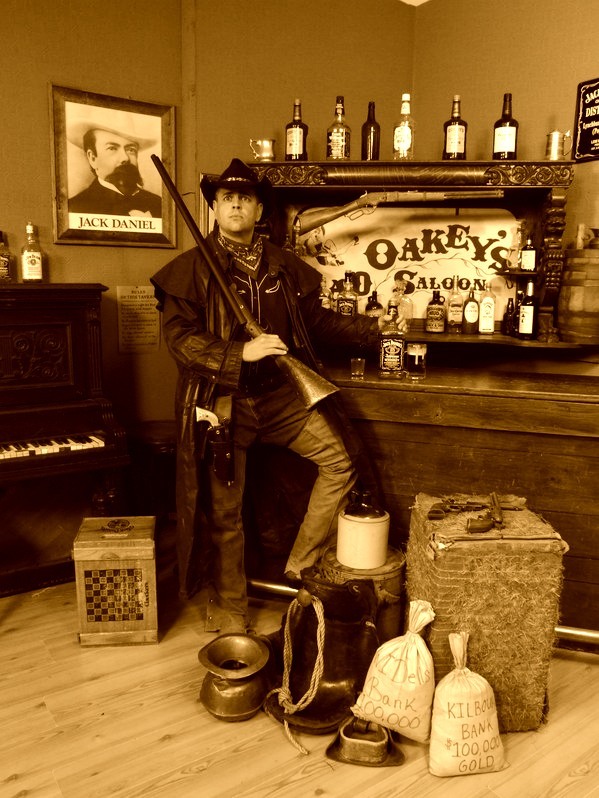 After getting playfully teased by employee Victoria Georgeson, who had to take my picture about a dozen times before getting one without a self-conscious look on my face, I was convinced to go even further back in time with a visit to the Old West saloon setting. This is where I found myself wearing the cowboy garments of which I’m sure I won’t hear the end of from friends for years to come if they ever get hold of the evidence. Next up was getting to experience what it was like to go behind the camera and be the one taking the pictures of people in costume. I was lucky enough to have employee Gina Grimesey dress up in Victorian Era garb, which made getting a good shot easier for me, as she’s a much more attractive subject. Which now that I think about it, I should of seen if she would have been willing to model in the Old West bathtub setting that they added about a year and a half ago . . .
With modern music playing in the background and hearing the many jokes told by Peggy and her son Jason Oksanen, who also works there and plans to take over the studio someday, Capone’s definitely has a fun and playful atmosphere. 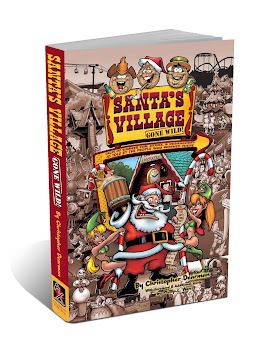 Whether it’s asking the customers to cross their eyes or stick their tongue out, partaking in the occasional inside joke, or if feeling frisky, trying to sneak things – or even themselves in the background of the pictures, it was evident that Capone’s would be a fun place to work. That said, you could tell they were all very professional when it came to making the customer happy. Besides making the experience a memorable one, they’ll have customers go over to a big screen monitor before getting undressed from costumes to make sure they’re happy with the shots, and if need be, retake them until the customer gets what they want. 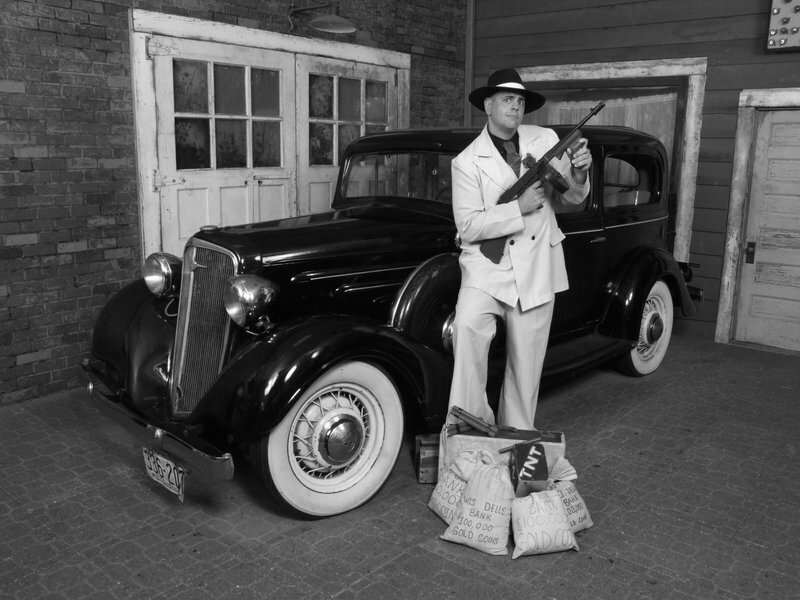 Capone’s The Original Old Time Picture Studio is open year-round to take a variety of classic antique portraits that can be presented in an assortment of antique style frames. Make sure if you visit to take a close look at the pictures covering the walls, where besides fun pictures taken by employees and family members, you’ll find a very cool set of photos that shows three siblings throughout the years from kids to teenagers to adults in the same setting and poses. I didn’t have the opportunity to take any Old Time photos of my younger years, but hopefully I’ll live long enough to start my own tradition of getting a succession of portraits taken here - just not likely in the cowboy outfit. *** I'd like to thank Peggy Anderson for the opportunity to go behind-the-scenes of the studio - it definitely was a fun time. I'd also like to give a shout-out to Jason Oksanen, Gina Grimesey, Victoria Georgeson and Andrea Saari for showing me around & helping out with the photos - thanks!